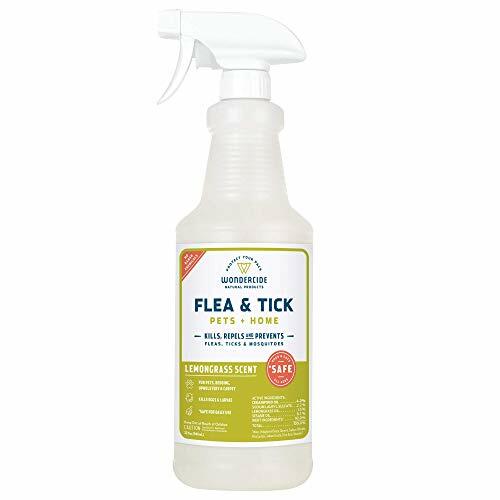 Fleas are definitely a nuisance, and sometimes can grow to become a downright problem, They infest your dog and your cat, leave your kids scratching at unsightly irritations, and they are quite difficult to get rid of if you are not meticulous in your approach to their infestations. This is why, for centuries, humans have grown obsessed with the question of how to get rid of fleas. Fleas are a set of species of incredibly small (though not microscopic) insects that are less commonly known as the Order Siphonaptera, and are also known to cause a wide variety of discomforts in the human population ranging from mild itching and unhappy pets, to the widely communed bubonic plague of the fourteenth century also known as the Black Death. They can jump up over an entire foot in a single, bounding leap and their females lay over one hundred eggs per day. They have tough, rigid exoskeletons that can sustain the force of your fingers pinching together with all the strength you can muster. Their tiny size allows them to remain unnoticed until they have dug in and also allows them to entrench their eggs in every seam and fold of fabric they can find, exponentially increasing their reproductive rates despite your best efforts to curb their advances. To make matters worse, they feed on the blood of a small mammal (including you) and indeed require it to reach sexual maturity. In short, fleas are a nightmare, and they will haunt you months until the cold weather comes, go dormant, and awaken again in the spring. But they are also not invulnerable. Their armor is not impenetrable, and despite what any infomercial may tell you, the only ingredient required to eliminate truly your flea problem is some honest attention and a lot of time. Fleas are attracted to the heat that emanates from your body, from your kids, from your pets. From everything with a pulse. They crave warm, dark environments and do well under furniture. They are not interested in the food you left out or the clutter of your disorganized bedroom. They want only your blood, and they actively seek the carbon dioxide heavily present in your every exhalation in they quest to feed on it. Although they themselves are not attracted to your leftovers, mice and other rodents are, and as a rule of thumb in your flea fighting expedition, it is good to remember that wherever rodents go, fleas are sure to follow. 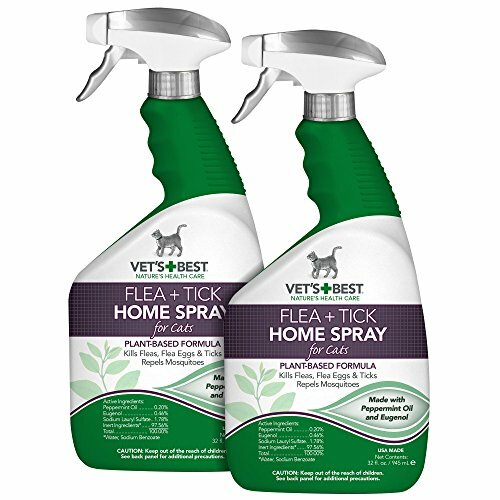 Conventional foggers and insecticidal products that are sold in stores rarely work, but a few, easy home remedies that will help you in your quest to figure out how to get of fleas in your home. 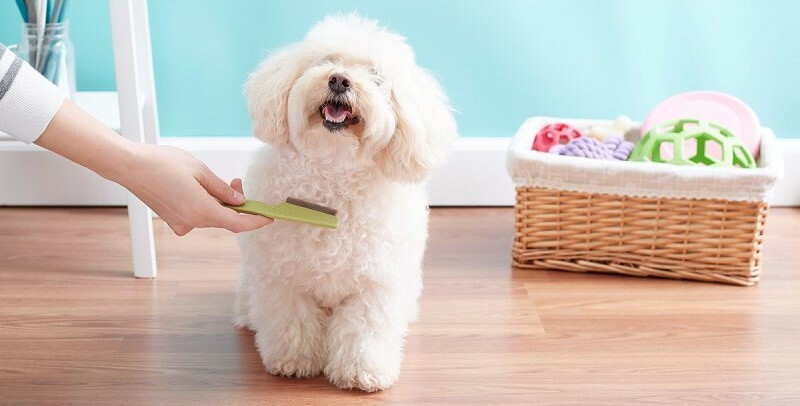 These tips are based on a basic knowledge of the flea as a biological agent and work to stump the animal's progression from a pest to a problem as they dig in further and further while you aren't looking. So, without further ado, we can discuss how to get rid of fleas and what you will need to tackle this problem head on. Foremost, the primary defense against these creeping crawling critters is the classic flea trap. It is not a complicated contrivance, nor does it require you to run to the hardware store and purchase anything at all. Rather, it can be constructed with simple household items that are almost assuredly sitting in your pantry. These items? A shallow frying pan or similar style basin, a reading lamp, water, and dish soap. To construct a flea trap, fill your frying pan with water and dish soap, leave it on the floor (away from where pets and small children can get at it) and set your reading lamp over the surface of the solution. From this point, you can wait. The heat from the reading lamp works the same way the heat from your breathing works. It attracts fleas, making them think they will find a meal if they jump over the rim of that frying pan. When they figure out their mistake, it is far too late for them to change courses the dish soap in the tray immediately works on killing fleas while simultaneously trapping them in the water. 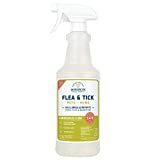 While some flea fighters complain about the mess and inconvenience of this technique, in our experience, it is a time honored way to deal with your problem of how to get rid of fleas. And sure, this is a messy solution and requires a lot of time, but if you apply your due diligence to the problem facing you, the old salt and borax cure can be your friend. First, you need to clear the affected area of clutter. This means your furniture, your piles of clothing, your suitcases and your kids' toys and toy chests. Everything. When you have an empty room, scatter salt and borax—a laundry detergent powder available in most stores—and leave the mixture sitting on the carpet for at least twenty-four hours. After a day has passed, you can simply vacuum the salt, the borax, and the dead fleas. To further the effects of this treatment on your flea problem, try to fill the vacuum bag or chamber with salt and borax. This ensures that even if they survive the arid desert that your rugs and carpets have become, they will be trapped in the compartment of your household vacuum with a chemical that is toxic and abrasive to them. This method works best for people with deep pile carpets and small apartments. The salt and borax both work to lacerate the fleas' tough, rigid exoskeletons and then kill fleas by simultaneously desiccating their body through the process of osmosis. The problem with this solution is that it is often unreasonable to empty the rooms of your house of everything is in them. Storage can be difficult to find when you are shuffling every possession you own around the house, but thoroughness is an essential ingredient to the answer of your problem of how to get rid of fleas. Doing laundry is no one's favorite task but the process can help you get rid of those pesky flea eggs—and some adults—by flushing them down the drain. Since fleas love warmth, we can assume that they also love the folds of the fabrics in your clothes, in your blankets, your drapes and curtains, the runners at your front door. All of it. Bag it up and throw it in the washing machine. While people say it is best to wash your infested items with hot water, this is unnecessary. In fact, laundry machines—or detergent—don't kill fleas. The pests can survive easily through the tumbling and the drying and the hot air, but it will dislodge them from your fabric-based possessions and wash them down the drain. The only tricky part is that you really need to make sure you get everything and that you repeat the process as many times as is necessary because it only takes a handful of flea eggs to make it through the load for your pesky pest problem to resurface. This one seems like an easy decision, but it is also the hardest and most time consuming of all the techniques listed here. Vacuuming assures that you get the fleas away from your family and pets. You trap them in the vacuum, and you transport them elsewhere before emptying the contents of your vacuum into another disposable, sealed container. Simple, right? While it may sound easy, it is important to remember that when vacuuming for fleas, you must be sure to hit EVERY square inch of an affected area. If you miss a crack, a crevice, an insecure flap of the carpet that your kid hides things under, you can be missing valuable real estate for the flea when it is laying eggs. Furthermore, you don't want to limit your approach to vacuuming. Don't stick with floors and corners. You need to vacuum also your couch cushions and the frames of your couches (don't forget mattresses and beds either). Does your child have any plush toys? Do the drapes hang within six inches of a location your pet is capable of reaching? Ask yourselves these questions when you are wondering how useful a vacuum cleaner is for figuring out how to get rid of fleas. In the end, your battle against the flea invasion comes down to your own patience and perseverance. It's daunting to shuffle furniture around while doing a dozen loads of laundry every day and kicking over pans full of soapy water everywhere you step. 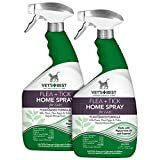 But if you stay on top of it, you can be sure to eliminate your flea problem while also mitigating your children's exposure to the insecticidal chemicals found in traditional flea bombs and insect foggers. You may have a long road ahead of you, but by following these steps, you can begin to understand how to get rid of fleas and enjoy a return to sanity and normality.